Most of us remember a time when our parents gave us their sage advice: DO NOT, under any circumstances, get into a stranger’s car. With that kind of upbringing, it seems more than a bit confounding that there is now an entire industry dedicated to doing just that. It’s called ridesharing, and it has revolutionized the way people get around in recent years. Today, ridesharing services like Uber and Lyft serve thousands of people each day, and the services are only getting more popular. In 2018, user percentages were at 9.8%, and it’s expected to rise to 13.3% by 2020. With rideshare options becoming more accepted and available there also comes with it unplanned incidences like; car accidents, injuries, and potential lawsuits. When you step into a stranger’s car, you adopt a certain level of liability and risk. Who owns the responsibility for that risk, though? In this article, we’ll discuss the state of auto accidents and rideshare lawsuits in NW Florida today. Let’s dive in. Do Uber and Lyft Increase Road Deaths? One of the benefits ridesharing proponents tout is that traffic safety is improved by removing drunk drivers from the road. According to new research, though, ride-sharing services are causing more accidents – not less. Each year these services generate an estimated $10 billion in economic losses and deaths. 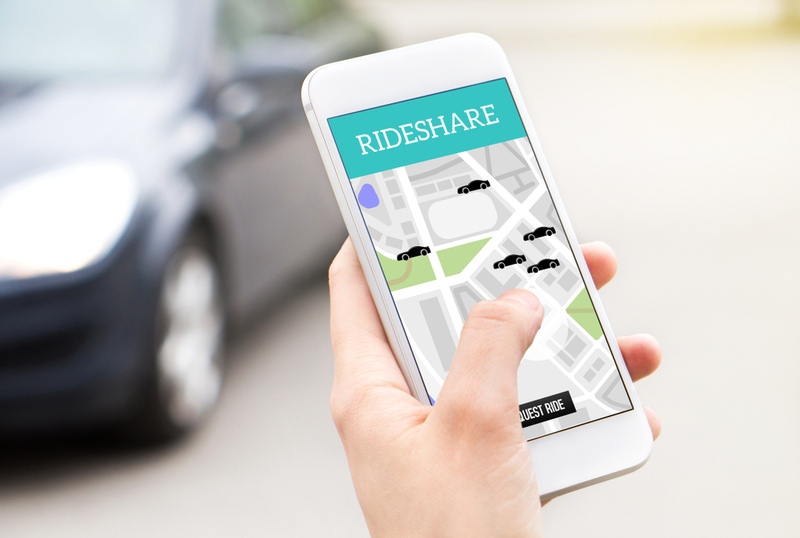 Data from the National Highway Traffic and Safety Administration shows that accidents in cities with growing rideshare services have risen by 2% to 4% each year. This is true even after the research teams factored in additional information. While it’s clear that Uber, Lyft, and other ride-sharing services are partly responsible for increasing roadway fatalities. It’s not exactly clear why. Is it because the drivers aren’t thoroughly tested, or is it another factor? According to the same research, the reason is actually “the quantity effect.” This goes hand-in-hand with the sharing economy. When you put more cars and ridesharing services on the road, more accidents are inevitable. The catch here, though, is that it’s not only people who choose to ride in or drive Uber and Lyft who are involved in these increasing accidents. In fact, it’s pedestrians, cyclists, bystanders, and other people who become victims as well. While the overwhelming trend of ridesharing is safe and convenient, there are risks associated when getting into someone else’s car. With this in mind, take proactive steps to protect yourself as you utilize these services. You can request driving record info from a driver, and view their star rating within the rideshare app. Previous customers who have had lousy ride experiences are more than happy to share them as you’ll see in the ratings. You should also notify the company directly if you experience any warning signs. With the unfortunate case that was recently in the news, it’s strongly recommended you ask for identification from the driver. Clearly confirm you’re getting in the correct car, with the correct companies driver. If you have been involved in an accident, contact Pensacola injury attorneys at Ward & Barnes to learn more about your rights as an accident victim.